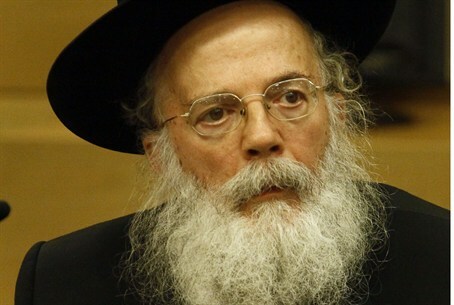 Land of Israel group furious as rabbi is summoned for investigation. Rabbi Shalom Dov Wolpe, head of the Our Land of Israel (Eretz Yisrael Shelanu) movement, was summoned to the Samaria (Shomron) police station for investigation. Sources close to Rabbi Wolpe said they believe the summons is connected to a speech he gave last year at a conference in the town of Nofim in Samaria. During his speech, Rabbi Wolpe announced that he plans to establish a Jewish Authority for Judea and Samaria. The Jewish Authority would apparently vie with the Palestinian Authority for control of the region. Our Land of Israel activists expressed anger at the summons. “This is a Bolshevik investigation aimed at sending a threat and frightening [him] off from voicing his opinion against the extreme-Left government,” they said. Rabbi Wolpe has frequently caused controversy with his statements regarding the Land of Israel and Israeli politics. In 2008 he compared then-Prime Minister Ehud Olmert and other senior government officials to Nazi collaborators. More recently, he expressed disappointment that there would be no confrontation between police and land of Israel activists over the Ulpana neighborhood of Beit El. “If there had been a confrontation, such evictions would not happen again,” he opined.